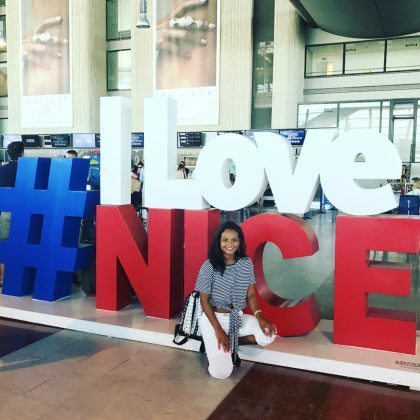 Christina Milian came to the Nice Côte d’Azur International Airport in July 2017 and said, “So… after the tenth trudgen’s and multiple photobombs I finally got to show love for Nice, France” by posing with the “#ILoveNICE” sign. Stephanie Pratt said “We found my favourite!!!! Mr Joe!! !” when she was at the Joe & The Juice, Nice Airport location in June 2016. 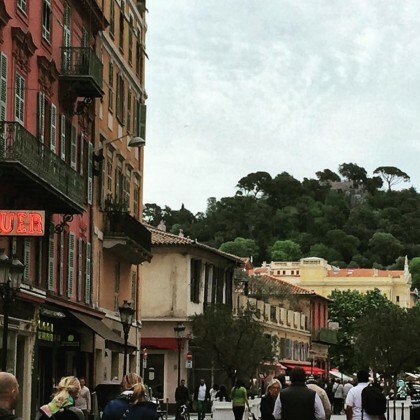 Josh Gad﻿ took “A stroll through #nice” on the Promenade des Anglais in May 2016. 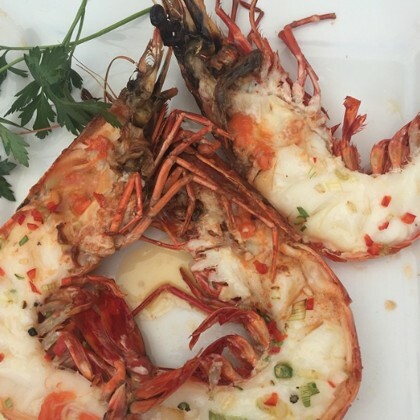 Martha Stewart enjoyed “Dessert at la petite Maison in Nice after an exquisite lunch” that included “Delicious langoustines” in June 2015.